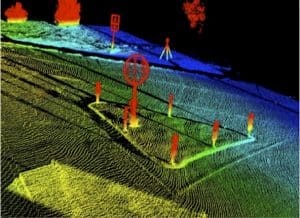 What can radar technology do that Lidar can’t? They’re similar in some respects, but they have some crucial differences! Here’s why we believe radar technology is superior. While lidar technology may continue to function in conditions of heavy rain, snow, or fog, its performance will be significantly degraded. But, radar will continue to function just as well as if it were a clear, sunny day! 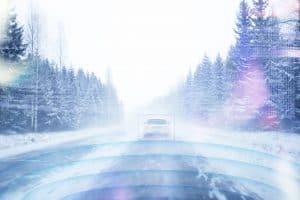 This makes radar technology ideal for real-world applications, where drones, automobiles, and industrial equipment typically has to operate in conditions of rain, ocean spray, fog, dust, and more. Standard lidar technology is also not suited for applications where water is present, as water absorbs the lidar signal. Radar technology, on the other hand, is very well-suited for applications where large bodies of water are present — such as over oceans or large lakes — and its performance will not suffer. Similarly, radar can detect a glass wall or door while Lidar will “see” through them. This makes radar a perfect sensor for robotics operating at sports stadiums. Finally, standard lidar technology’s performance will degrade in the presence of bushes or heavy vegetation. This means lidar technology isn’t well suited for use in applications such as forest management, precision agriculture, or wildlands search and rescue. Radar technology, on the other hand, suffers none of these weaknesses and will continue to function at peak performance in such conditions. Ainstein’s radar-based sensing technology operates in the K-band (24 GHz) and 77-81 GHz frequency microwave radar signals. These signals propagate through a multitude of atmospheric conditions and are less affected by rain, dense fog, blizzards or clouds, allowing for accurate measurement in all weather conditions, as well as superior performance in low light, such as during the night. In addition, Ainstein has developed the intelligence to allow our UAV radar sensors to accurately detect items commonly found while flying in urban environments, items such as cars, buildings, pedestrians, power lines, and tree branches. Our solutions can even reliably detect small items such as city power lines within 0-5 meters range. With Ainstein’s sensing solutions, UAVs have the ability to fly and land safely by detecting and avoiding these objects autonomously. With advanced algorithms, our solutions provide smooth, above ground altimeter measurements for water surface and bushes; other sensors may be confused by jittering measurements in such environments.